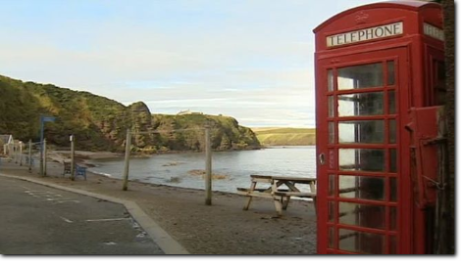 A musical based on the classic 1983 film Local Hero will have its world premiere in Edinburgh next year. Mark Knopfler has written the music and lyrics for the new production, which will open in Spring 2019. E' un inedito di Mark Knopfler presente nel nuovo album di collaborazioni di Tommy Emmanuel, Accomplice One, in uscita il 19 gennaio. "...When I approached Mark about playing on my album, he told me he would love to but it has to be one of his songs and none of that fast stuff. I immediately concurred, as I love all his compositions. We sat down with our acoustic guitars, and he sang me the song, “You Don’t Want To Get You One of Those”. It’s brilliantly written, and honestly and humbly performed. We recorded it like a performance, playing and singing in the same room. We purposely left it raw and didn’t try to polish it up. It was a great experience for me to be directed by such an accomplished artist as Mark". 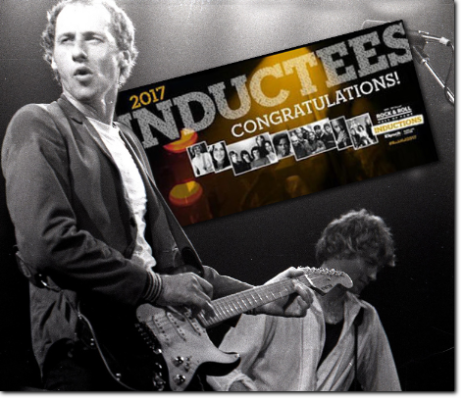 Dire Straits has been nominated for the Rock & Roll Hall of Fame. The Rock & Roll Hall of Fame offers fans the opportunity to participate officially in the induction selection process. Beginning Oct. 5 and continuing through 11:59 p.m. EST on Dec. 5, 2017, fans can visit rockhall.com/vote to cast votes for who they believe to be most deserving of induction into the Rock & Roll Hall of Fame. 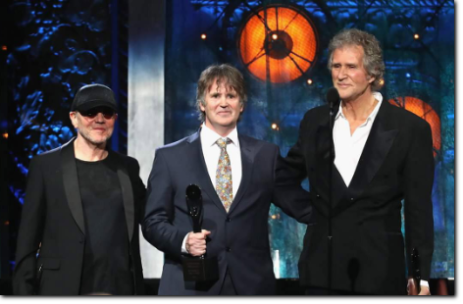 The top five artists, as selected by the public, will comprise a “fans’ ballot” that will be tallied along with the other ballots to choose the 2018 inductees. Fans will need to login with a Facebook account or email to vote. Voting is capped at one ballot per day. The Rock & Roll Hall of Fame 2018 Inductees will be announced in December 2017. 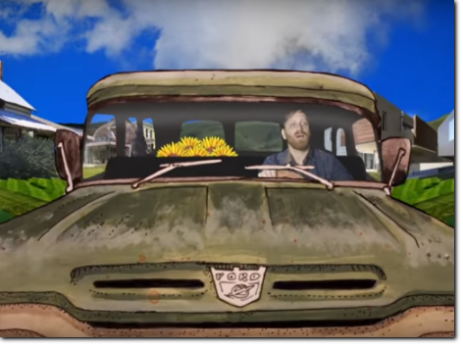 Mark’s as yet untitled new album is currently scheduled for completion in March 2018. 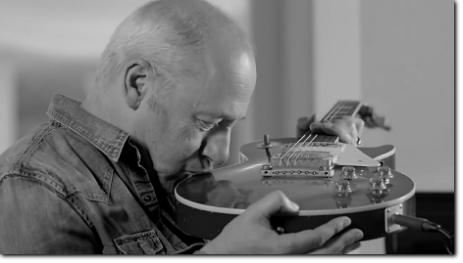 Mark Knopfler in London to celebrate the Busking Day, in association with Gibson. "With so many smaller pub and club venues in London and other cities around the world falling victim to gentrification and rising rents it is more important than ever that enlightened civic authorities actively promote live music and performance in public places. It's good to see the Mayor of London taking this initiative with Gibson Guitars"
"Ci sono tanti pub e club piccoli a Londra e in altre città del mondo che sono vittime di riqualificazioni con conseguente aumento di affitti. E' importante che le autorità cittadine promuovano attivamente la musica dal vivo e in luoghi pubblici. È bello vedere il sindaco di Londra partecipe di questa iniziativa in accordo con Gibson Guitars"
Mark Knopfler e John Illsley hanno partecipato all'incontro Cafe Racer Challenge Team a East End Arms a supporto della campagna pubblicitaria dei Big Bike Charity Hike, un gruppo di bikers e non che ha come scopo una raccolta di fondi per beneficenza. I Big Bike Charity Hike hanno in programma al momento un altro incontro sabato 22 aprile alla Lymington Masonic Hall dove continueranno a promuovere il loro tour benefico che percorrerà le coste del Regno Unito. Nel loro tour, che partità il 24 giugno dalla Lymington Masonic Hall, percorreranno circa 4000 miglia e viaggeranno dalle 10 alle 14 ore al giorno fermandosi a dormire in tenda. Il rientro a Lymingtom è previsto l'8 luglio. Durante l'incontro Mark e John hanno ammirato le moto e firmato magliette ai bikers che saranno messe all'asta per la raccolta benefica. 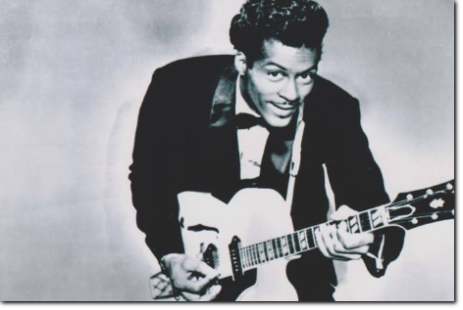 Mark plays on Shine On Me the first which is the first single from Dan’s new solo album "Waiting on a Song"
"We’ll all remember Chuck Berry as one of the greatest rock 'n roll performers but he was also the greatest of the rock ’n roll writers. Music wouldn’t have evolved in the same way without him. Seeing him at Newcastle City Hall when I was 15 was an unforgettable experience."